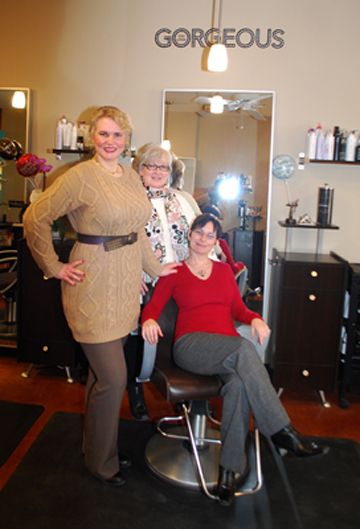 Last Wednesday NEW visited Salon Four 14 for some pre-Galentine’s Day pampering. It was sunny day and the temperature had increased significantly, making us all giddy with joy. 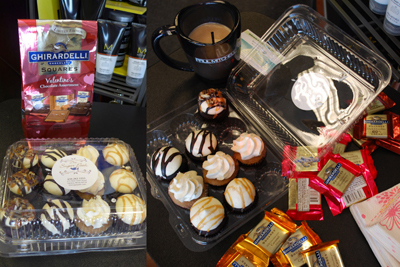 Co-Founder Karen had brought a 12-pack of cupcakes from The Sugar Path as well as some chocolate. 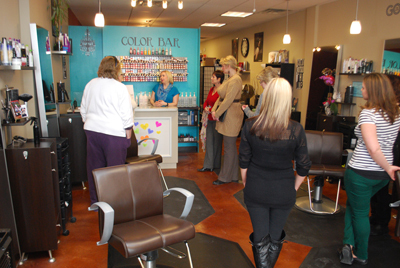 We toured the cozy space owned by Heather Haftl, and learned that we can relax our scalps in the lather lounge with a head massage, pamper our hands with paraffin treatments, and watch our hair color get mixed at the color bar, after which it gets cut and styled of course. 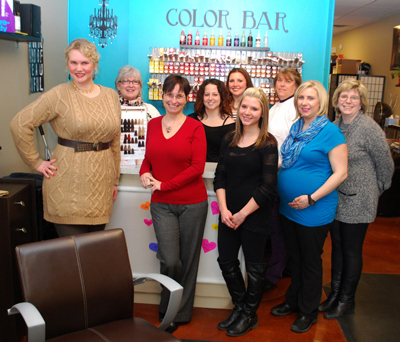 The salon, which has been in business for four years, also offers custom make-up blends. Dipping our hands in warm wax after a hand massage was delicious. 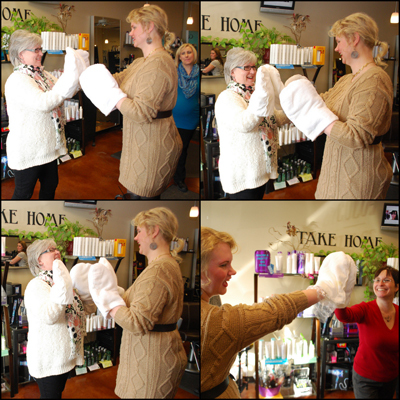 We had fun playing Patty-Cake with our mittens. 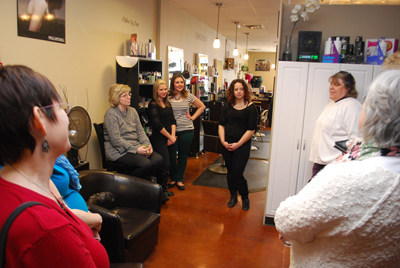 It was lovely to meet ambitious ladies who have such a positive approach to life. We will close out the month of love on Thursday, February 27, from 6 to 8 pm at Anna Shea’s Chocolate Lounge. Who can say no to chocolate cocktails? NEW – The Network of Entrepreneurial Women is a group of Chicagoland business women who are upgrading business networking with fun and creative events that inspire attendees to work together, refer each other and most of all cheer each other on as the membership succeeds. Events rotate around various suburbs on a semimonthly basis, usually the 2nd Wednesday and 4th Thursday of the month. RSVP for our upcoming events at Meetup, or like us on Facebook, where and check up on the calendar there.